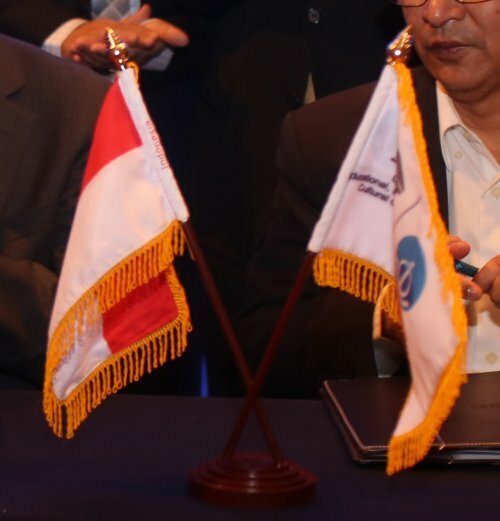 22 April 2017- A cheerful ceremony was held at the 11th Intergovernmental Session in Qingdao, China with an Agreement signed between the Indonesian Institute of Sciences (LIPI) and the IOC/UNESCO, concerning the establishment of a Regional Training and Research Center on Marine Biodiversity and Ecosystem Health (RTRC-MarBEST). The Western Pacific and its adjacent regions are of vast environmental, social and economic importance. Being the most densely populated region, and growth engine of the world economy, humans’ livelihoods and prosperities have been inextricably linked to ocean, with large impacts on the surrounding coastal waters and marine ecosystems. “We know from our regional research activities that our coastal area experiencing regular algal blooms, and depleted oxygen. We recently also realized that our ocean is heavily polluted with marine debris with micro plastics even found in our fish. Shellfish that we eat contain laden toxic antibiotic, etc. These are endangering our marine biodiversity”, Zainal Arifin, Deputy Chair of LIPI, expressed his deep concerns. 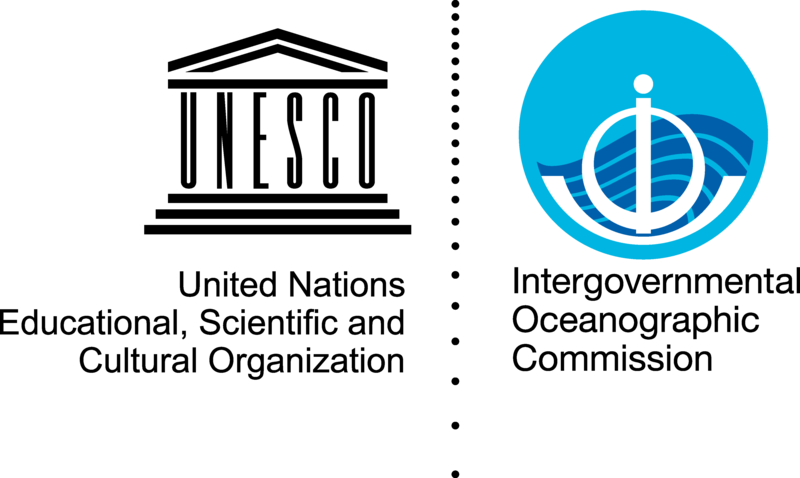 The RTRC-MarBEST is established with objectives to improve national and regional scientific capacity, particularly the general generations of marine scientists in the region, and to nurture friendships and cooperation among countries for marine biodiversity conservation and ecosystem health. 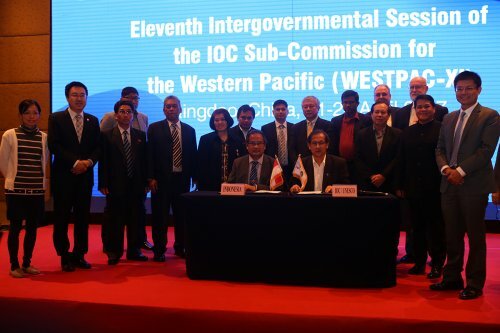 Witnessed by all delegates and representatives to the Session, the Agreement was signed by signatories, Zainal Arifin, Somkiat Kokiatthiwong and Vladimir Ryabinin representing LIPI, IOC/WESTPAC and IOC/UNESCO, respectively. The first Regional Training and Research Center was established, with focus on ocean dynamics and climate at the First Institute of Oceanography, State Oceanic Administration of China (FIO, SOA) in 2010. Regular training on ocean dynamics, air-sea interaction, climate change and numerical modeling have been developed and provided annually since 2011. Till 2016, the RTRC- ODC Center has been organizing regular training annually with a total of 260 young scientists from 33 countries having participated in. WESTPAC highly appreciates the Indonesia Institute of Sciences for its great contribution to enhancing national and regional capacity, which is of great significance towards the attainment of 2030 Agenda for Sustainable Development, particularly its Sustainable Development Goal 14: Conserve and sustainable use of oceans, seas and marine resources for sustainable development.